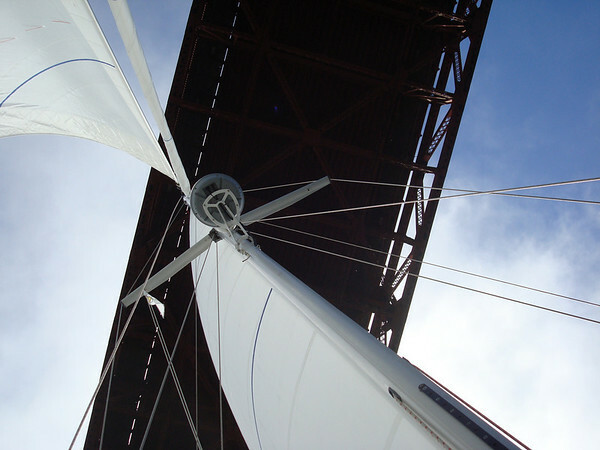 Sailing under the Golden Gate Bridge was a big moment. This is something we've talked about doing since hatching this cockamamie scheme of ours. 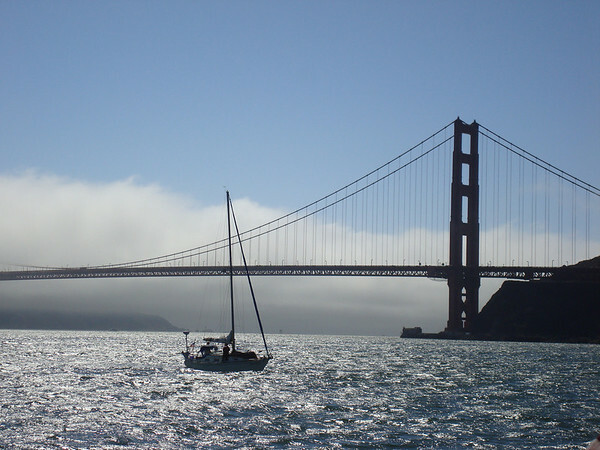 After a 48 hour passage from Crescent City that was mostly uneventful (my favorite kind of passage), we pulled into the entrance into San Francisco. 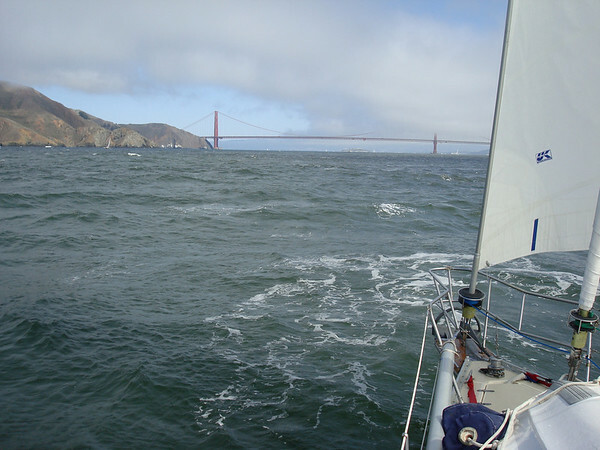 We were getting 15 to 20 knots of wind behind so we pulled out the sails again and actually sailed under the Golden Gate Bridge. And who was waiting for us on the other side of the bridge? White Cloud!. We have finally caught up with Kim and Fisher who have their own interesting tale of the passage down from Seattle waters. 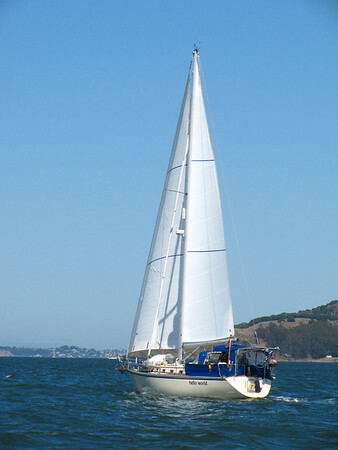 We anchored in Richardson Bay next to Sausalito. 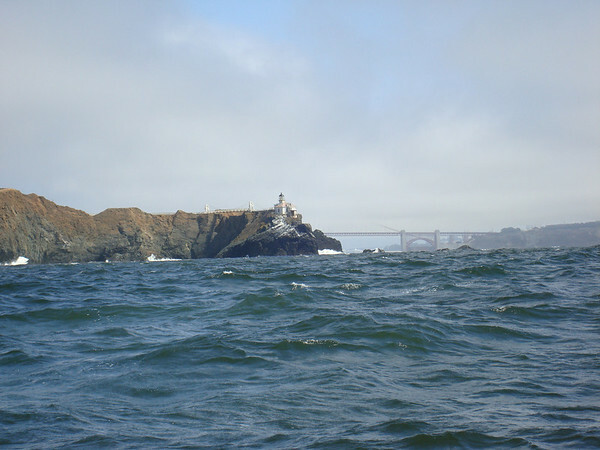 Richardson Bay was well protected from the wind but not so much from the swell. We had Fisher and Kim over dinner and soaked up the satisfaction of our first big milestone. 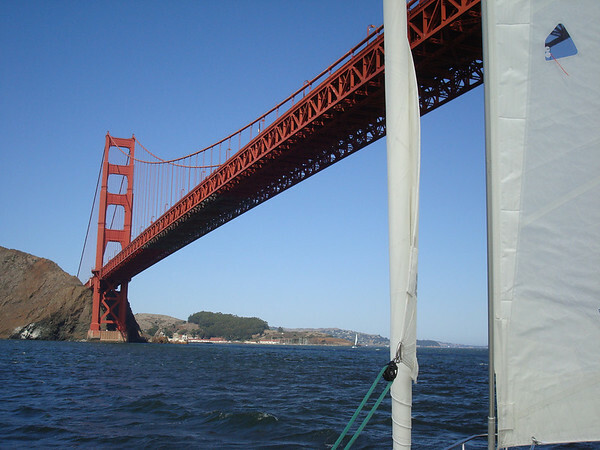 Sailing past Bonita Head into the Golden Gate entrance. We finally catch up with White Cloud!! 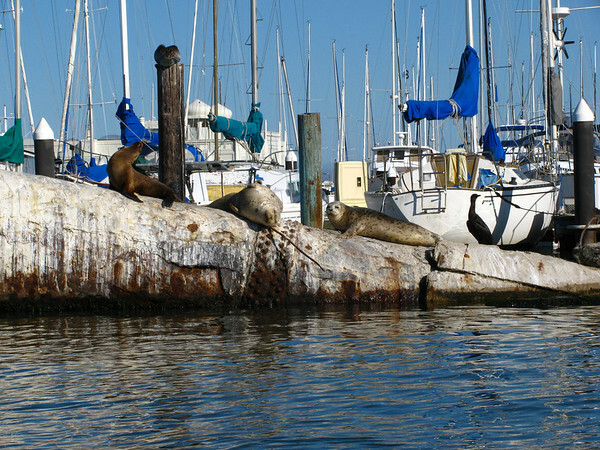 Seals hanging out in Sausalito. 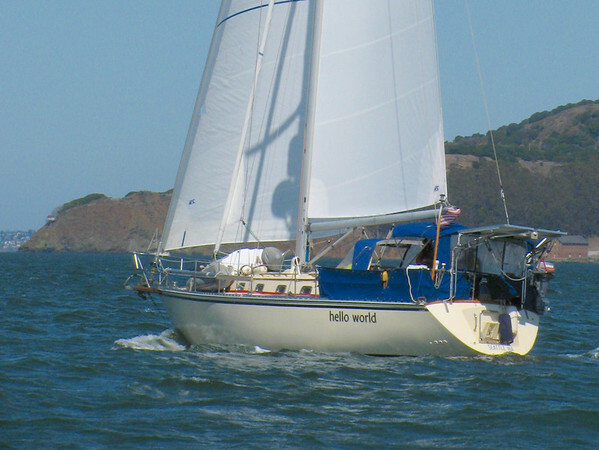 That is one of the things I dream of doing on my own boat (currently vaporware). Traveller - keep us updated on the vaporware boat, yeah? Scott - we can't wait to round Pt. 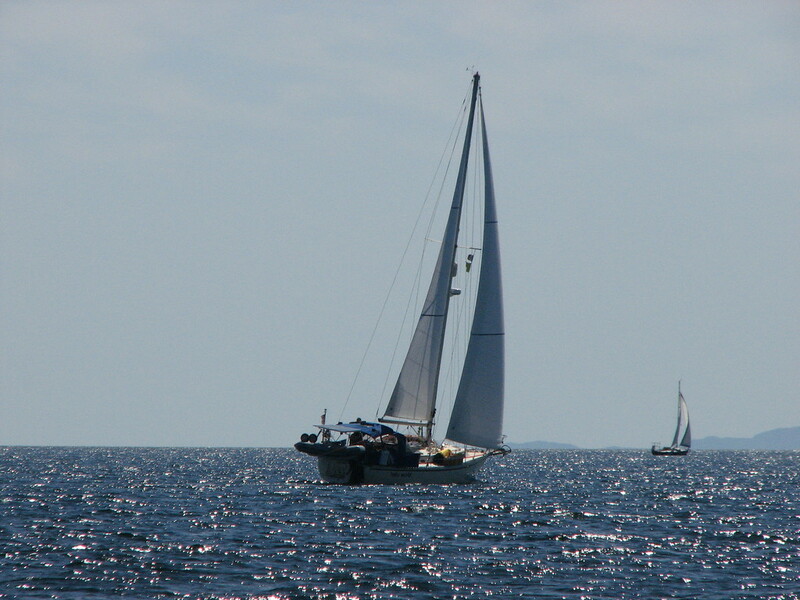 Conception and sail into snorkelable waters. 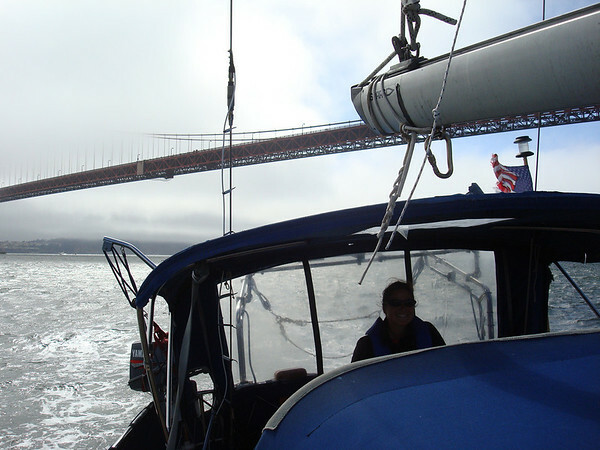 How's life as a liveaboard? Amazing photos! You guys are so lucky to be able to do what you are doing!